information in Russian). 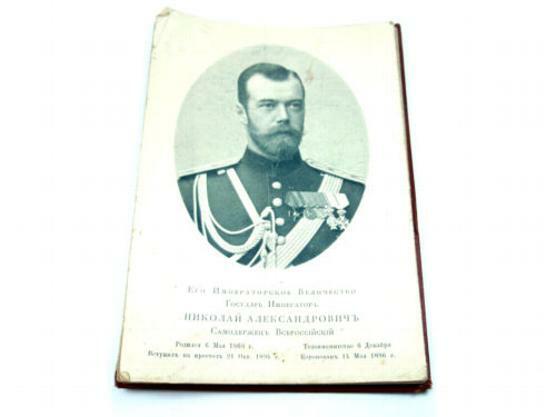 Booklet issued and printed in St. Petersburg on June 6, 1902. Good Condition, only the front hard cover is missing. For more information, look at the photos we provide.